A gradual but inevitable descent into cricket-based loathing and bile. Much to Kevin Pietersen’s annoyance, England again utterly failed to miss him at the top of the order. This time it was Alex Hales who slotted in seamlessly, making a fine hundred (bar one minor technicality) to see England home after the West Indies middle order thrashed them to a very competitive total. Another challenge overcome with some style by England. After a good start with the ball – particularly the plan of bumping out Chris Gayle – things fell apart somewhat in the final overs. Jade Dernbach seemed to lose his way, finishing by conceding 36 runs from his last two overs as the West Indies’ hitters found their range. And yet Hales’s superb innings eventually led the home side to a comfortable victory and removed the doubt around who should be opening the innings. Or at least half of that doubt – Craig Kieswetter again disappointed with the bat. England won’t want to change the wicketkeeper now, but the feeling remains that one of Bairstow and Buttler could do just as good a job behind the stumps, while allowing someone more effective to come in at the top of the order. Although quite who that would be is another matter. 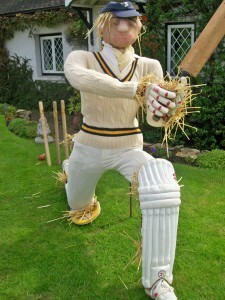 England's new opener was less prone to slogging the ball straight up in the air. Ravi Bopara again displayed his best qualities, building an innings that perfectly complemented the more aggressive Hales, and his worst, holing out on the brink of victory as England briefly threatened to undo all their good work. Of course, he’ll say that he was only giving the people what they wanted, allowing Jos Buttler to stride to the crease and secure victory by running up to the other end and back. A fairly wretched tour for the West Indies ends with them having won just a single game, against Middlesex. This was certainly the closest they came to beating England but it was symbolic that the winning runs came from yet another misfield. It’s been a tour of scattered decent individual performances, let down by rudimentary errors. Here there was some fine hitting – the West Indies hit ten 6’s, compared to England’s five – but the cheap dismissals of Gayle, Simmons and Samuels (and subsequent need to rebuild) eventually proved significant. As we boldly predicted, the West Indies bowling attack wasn’t up to much. None of the bowlers seemed able to stop the flow of runs, either by bowling a tight line and length or by taking wickets. Darren Sammy tried seven different bowlers, but the results were always the same. 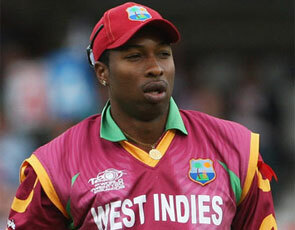 Except for when Kieron Pollard had an over, when things got worse, to the general amusement of the 51allout bunker. Kieron Pollard tries to make out his last delivery as it lands somewhere in the River Trent. Finally the West Indies players can head home and enjoy some sunshine. There isn’t much time for sunbathing though, as they start a series against New Zealand on Saturday with two T20 matches in the cricketing hotbed that is Florida, followed by five ODIs and a couple of Tests back in the West Indies. It’ll prove a good barometer of whether this side is actually going anywhere after all the talk of progress followed by inevitable crushing defeats. For England there’s even less of a break – Australia are in town for some utterly pointless ODIs, starting on Friday at Lord’s. Hopefully the rain Gods will be pleased with the prospect of Steve Smith in action and will actually allow some play. You can read our preview of their tour (including the damp squib that was the game against Ireland) here. Positional Batting Average: What Difference Does It Make? Who is next in line for a recall to the Australian team? © 2011-2019 51allout. All rights reserved.